Ahead of the governorship primary of the All Progressives Congress (APC) billed for Saturday, Kwara South Elders on Friday rose from an extraordinary meeting where they endorsed the candidature of Alhaji Shuaib Yaman Abdullahi -a gubernatorial hopeful on the platform of the All Progressives Congress (APC). 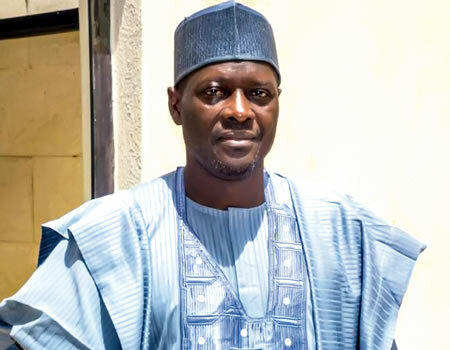 According to a statement in Ilorin, the elders said they reached the decision after a thorough examination of all aspirants vying for the office of governor in the state. They added that, the sterling qualities of Yaman Abdullahi made him first among equals. Those in attendance include, (Isin); Chief Michael Iyanda, Elder I. O. Adeyemi and Dr. Shehu Ibrahim. Others are, (Irepodun) Alhaji Olarewaju Yusuf, Rev. Agboola Adewumi, Chief Femi Abogunrin and Chief Adekeye Agbanda. From Oke-Ero; Barrister Titus Ashaolu, SAN, Chief E.A Ige, Chief James Bayo Adeoti and Architect Ogunsanmi. While those of Ekiti include, Dr. Bamidele, Chief Dele Ajisafe and Chief E.A. Oni. Elders from Offa that equally endorsed Abdullahi are Hon. Dele Shittu, Alhaji Afolabi Bisiriyu, Alhaji Shogo Abdulrashid and Hon. Ahmed Isyaka. Those of Oyun include, Alhaji Abdulrasheed Balogun, Chief Funsho Alabi and Chief Samuel Olu. Ifelodun elders are, Engr Jide Usman, Alhaji Adisa Idofian and Alhaji Baba Adebayo. Abdullahi had earlier been adopted by the all traditional rulers and leaders of thought in the north senatorial district. The statement therefore enjoined all members of the party from the southern senatorial district to vote en mass for Alhaji Shuaib Yaman Abdullahi.